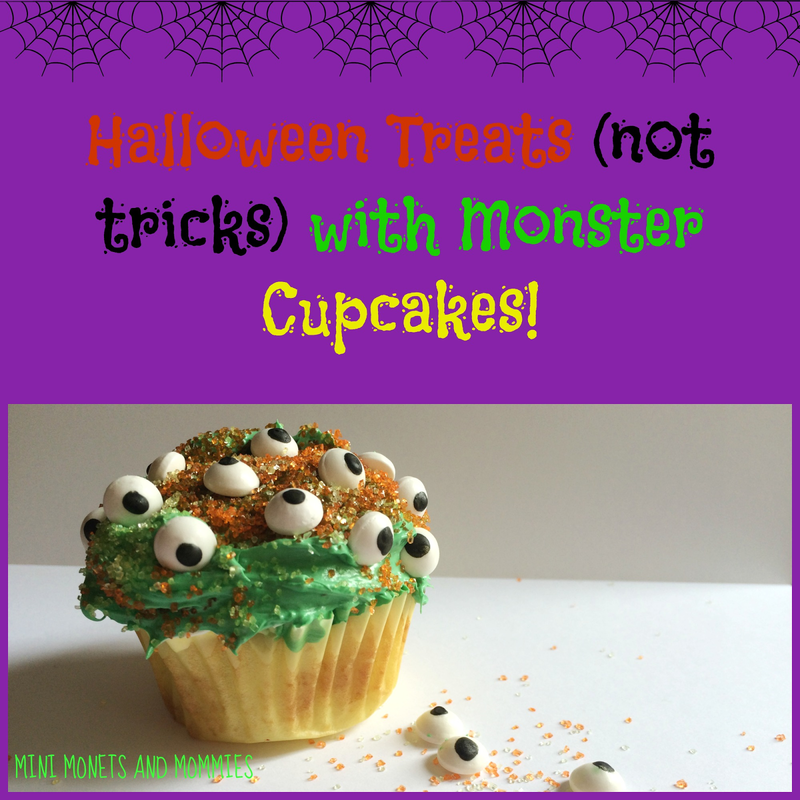 Mini Monets and Mommies: Halloween Monster Cupcakes! So, I’m usually an artsy girl. But, lately I’ve been into baking. I’m not a cook by any stretch of the imaginations, but I always enjoy making super-simple sugary treats. Halloween is quickly approaching, and that means there is sugar a’ plenty. So why not add to it with a creepy cupcake? I originally started this recipe (and I use the work ‘recipe’ extremely loosely – as it’s mainly an instructional activity) as part of a glow-in-the-dark dessert. It kind of took on its own life from there. 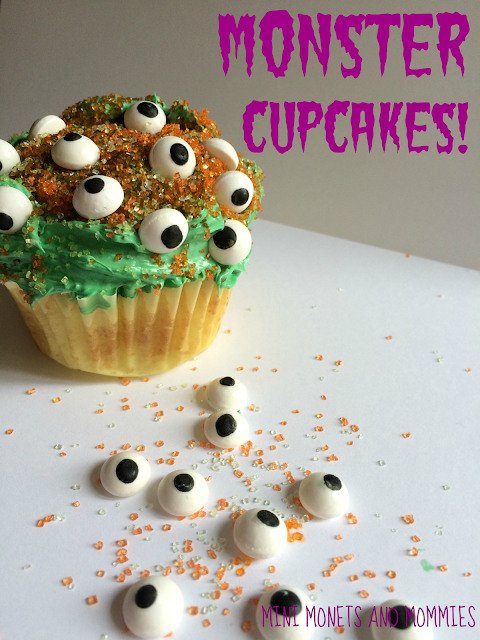 These creepy monster cupcakes are easy to make and very much a ‘kid’ treat. My two taste testers were my husband and my son. My husband tried the cake (with its secret ingredient), puckered his face and assumed that I had completely messed up the recipe (as I am not the world’s best baker). 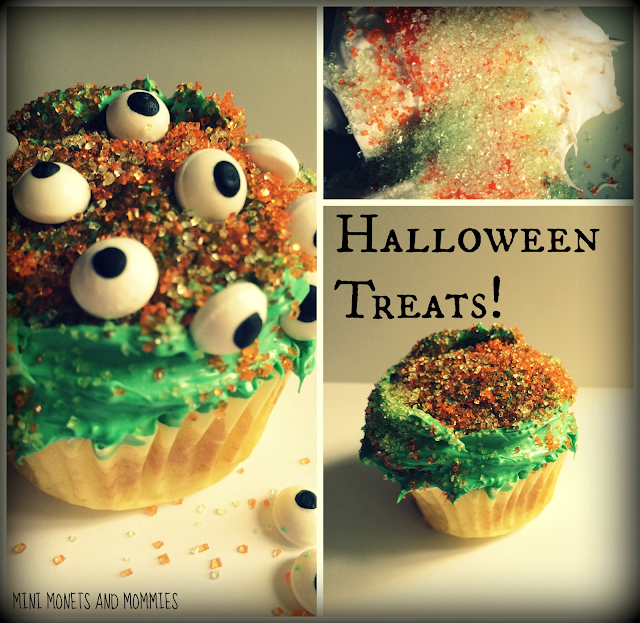 That said, my son happily exclaimed, “Mom, these are like sour patch kids as a cupcake!” If you’re planning a Halloween party for your child (or going with a monster theme for his birthday), these little creatures are (with their sour secret ingredient) perfect. · White cake mix – You can use your own favorite recipe or make it from the box. 1. Mix the cupcake batter. If you’re short on time or just not comfortable making it from scratch, there’s no shame in using a boxed mix. If we were all expert bakers, there would be no reason for the Cake Boss or Cupcake Wars, right? 2. Substitute the plain water for the sour apple Kool-Aid. It will add taste, but only slightly tint the cake. 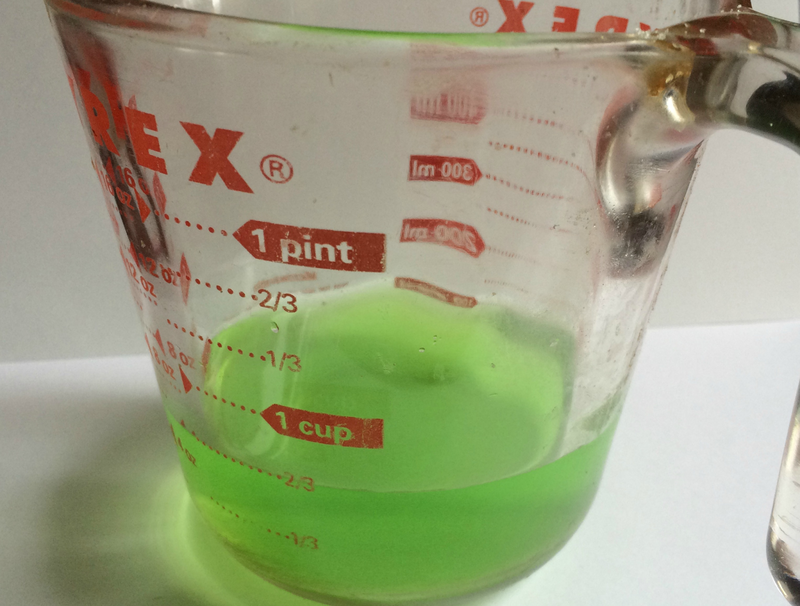 If you’re looking for a bold green cake, add a few drops of food coloring. 3. Bake the cupcakes. Let them cool completely. 4. Mix the colored sugar with the icing to give it a ‘witch’s wart’ texture. 5. Drip a few drops of green food coloring into the icing and stir it through. 7. Sprinkle a layer of orange sugar over top of the frosting. 8. Press on the candy eyes. The more that your child uses, the more monster-ific the cupcake becomes. Hard candy eyes can be a potential chocking hazard for young children. You can swap these out for ones that your child makes by adding dots of white and black frosting. Are you looking for more cupcake creations? Follow my Pinterest board for sweet ideas! Hahaha these are so funny! Love these so cute, love all the eyes! So cool for Halloween and look easy enough for kids to do - Thanks for linking up to Pin Worthy Wednesday, I have pinned your post to the Pin Worthy Wednesday Pinterest Board.